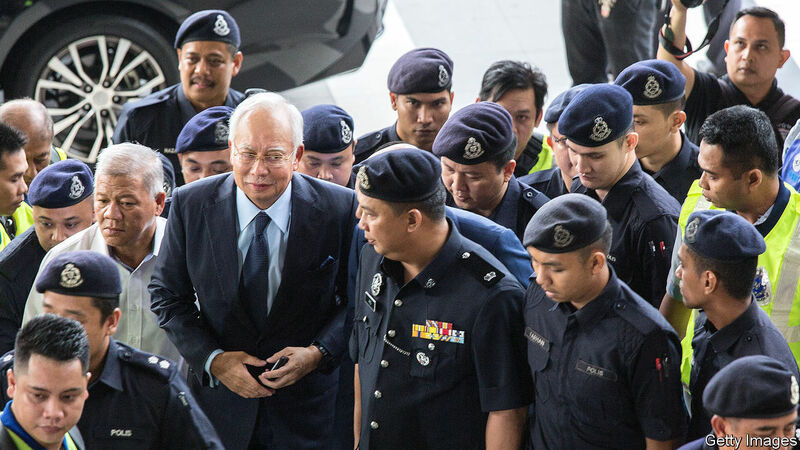 ACCORDING TO America’s Department of Justice, between 2009 and 2015 $4.5bn disappeared from 1 Malaysia Development Berhad (1MDB), a Malaysian state development fund set up a decade ago by Najib Razak, then the prime minister. The money passed through a maze of institutions and accounts in the Middle East, the Caribbean and the Seychelles. It was frittered away on property, parties, gems, art, private jets and a superyacht. It helped fund a film on scamming, “The Wolf of Wall Street”. The mastermind behind the fraud is allegedly Jho Low, a Malaysian financier. But more than $600m ended up in Mr Najib’s personal bank accounts.